All of the dates are rare and will be worth at least $50 and up, but grades lower than about good or damaged coins cane be bought for less. Obviously rare dates and varieties are worth more than $50 and can be worth in the thousands of dollars. 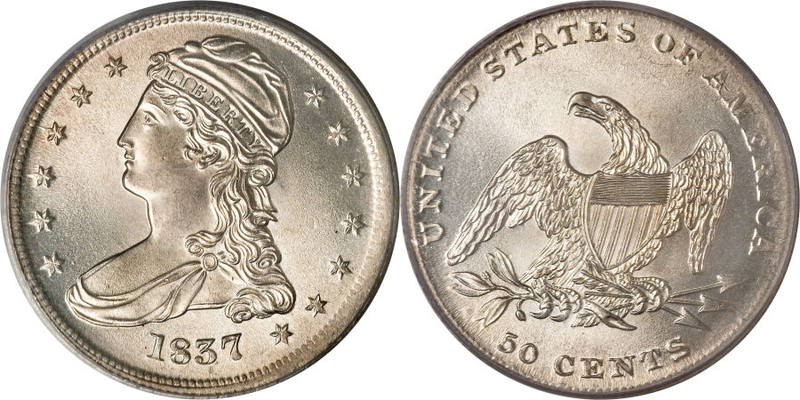 The image below is of a Capped Bust Half Dollar grading G6 but you will find them in lower grades like AG3 or even less. Many will be damaged and those are the most economical to buy just to have one in your collection or fill a hole. 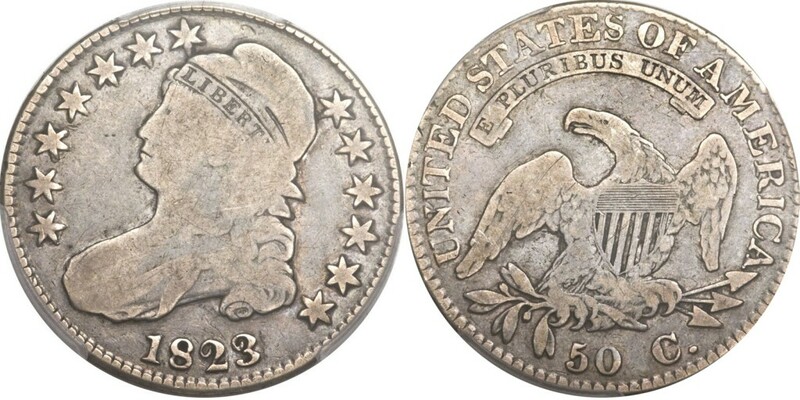 Capped Bust Half Dollar value is based on the survival rate of the date and mint mark, the condition grade and if the variety status.